Found 27 file extension associations related to PhotoScape X for Mac and 1 file format developed specifically for use with PhotoScape X for Mac. 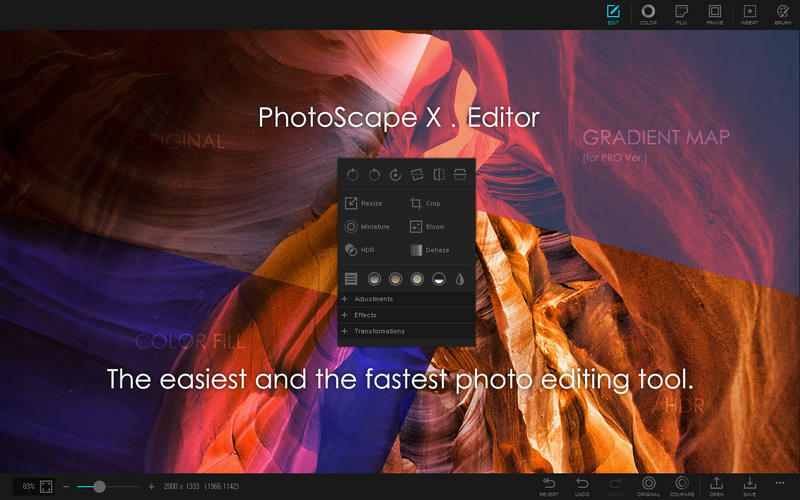 PhotoScape X is a fun and easy photo editor that enables you to fix and enhance photos. All-in-One: Photo Editor, Batch Editor, Viewer, Collage, Animated GIF, Film Effect, Light Leak, Miniature Effect, Filter, Brush, Sticker, Pattern, Frame, Shape, Border, RAW images and More. If you need more information please contact the developers of PhotoScape X for Mac (Mooii Tech), or check out their product website.